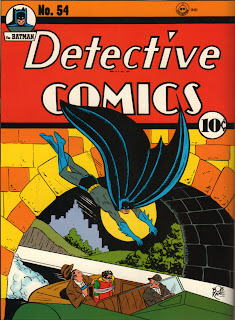 Volume 2 of The Batman Archives was one of those books that I along with many other devotees of the golden age of Batmania awaited with high expectations. 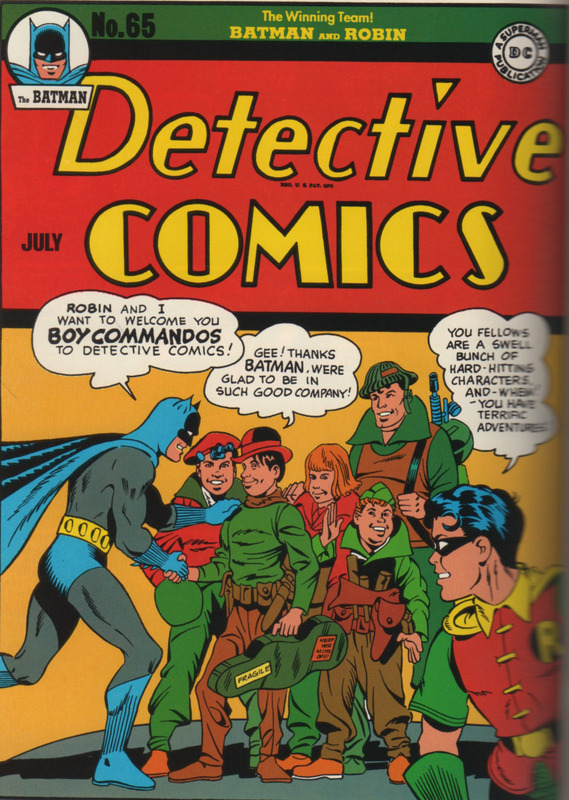 This was in 1991 when DC's Archives series were being regularly issued, with each selected title seeing a new addition to the line on an annual basis. 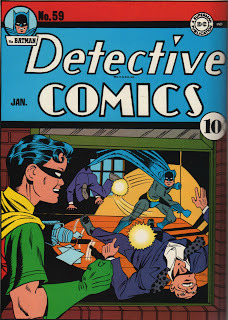 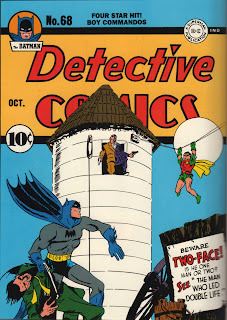 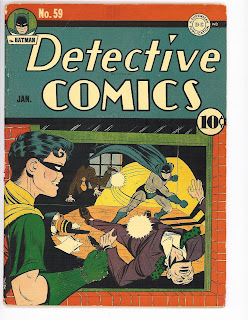 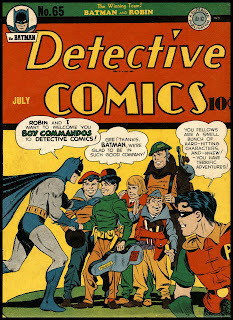 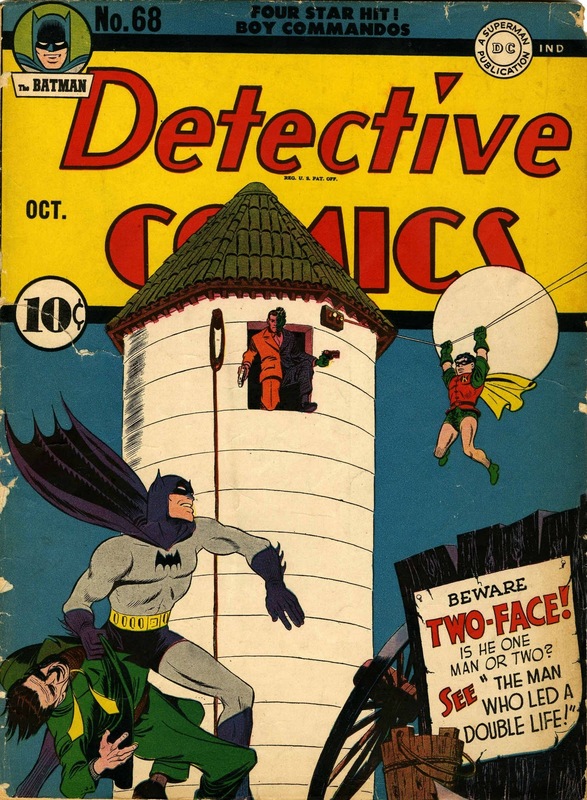 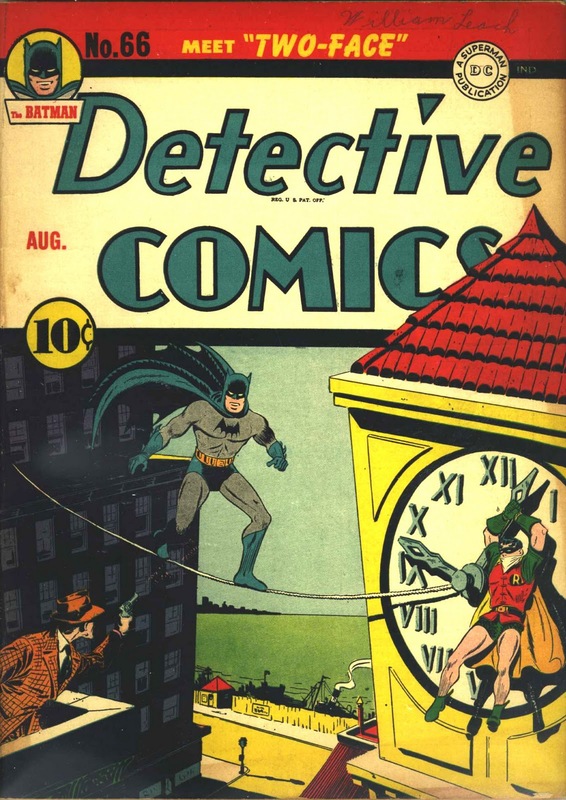 The book in question was particularly promising insofar as it included the cream of Jerry Robinson's Detective Comics covers spanning the transition where his work initially cleaving close to the style established by his erstwhile employer Bob Kane soon showed a distinct influence of the amazing artistry of his friend and studio colleague Mort Meskin. When Volume 2 of The Batman Archives eventually arrived it was something of a disappointment, insofar as aside from the truly horrible oversaturated colors which had left no allowance for the fact that the books would be printed on glossy paper stock, many of the best examples of Jerry Robinson's covers looked not just poorly scanned, they actually looked as if they had been traced and badly traced at that. 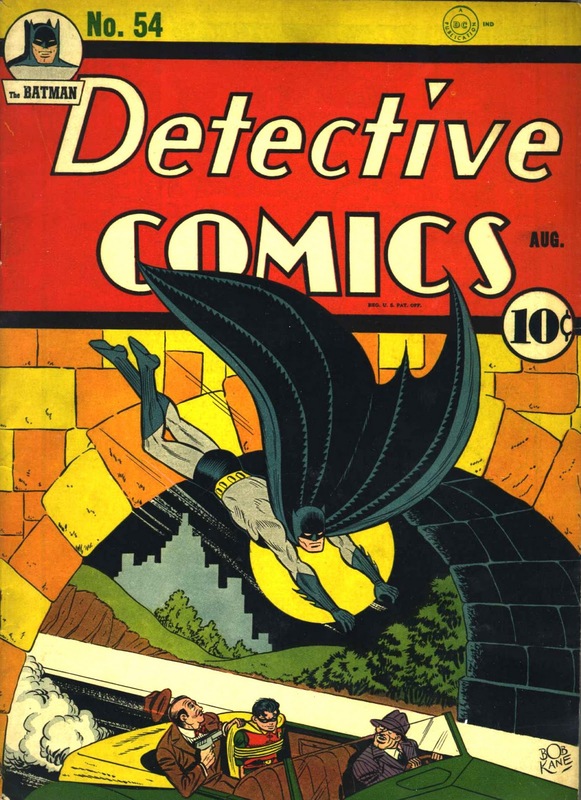 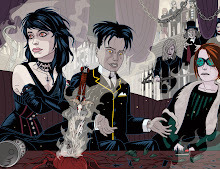 The truth was that the people tasked with creating the reconstructions had been supplied with several coverless issues of the comics concerned. 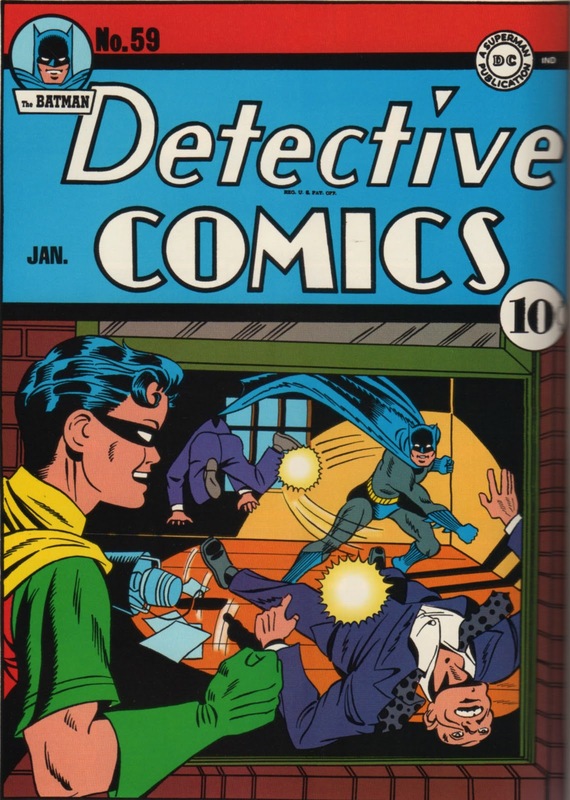 DC simply didn't have much in the way of a golden age archive and many of the tatty issues that they did have to hand the restorers were sans covers. 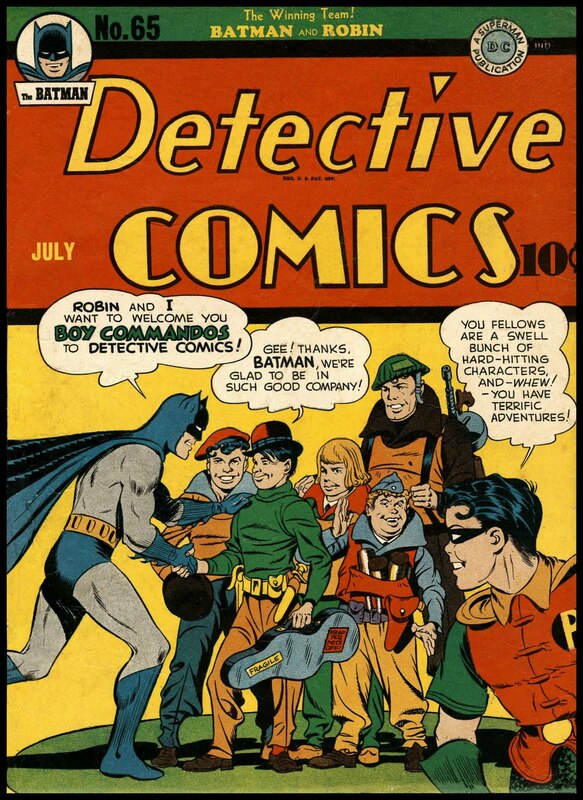 This meant that the team had to resort to blowing up the adverts for those issues which were reproduced on a small scale from other comics which appeared at the time. 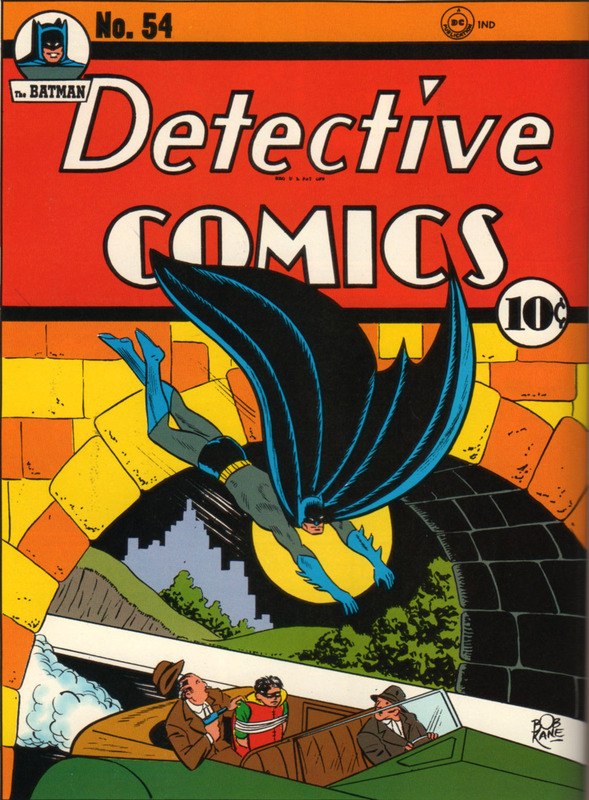 Things have moved on apace since those days and by and large the covers and in fact many of the stories which have appeared more recently (Dark Knight Archives Volume 6 being a particularly fine example) are much more satisfactory. But here for those Batman devotees still grieving over the horrible repro job that Batman Archive Volume 2 did on some prime Robinson covers are the original covers with the Archives versions to contrast and compare. 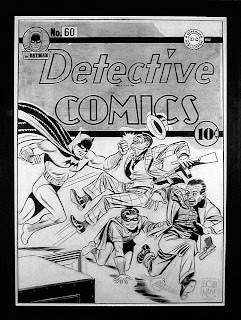 Note in particular Detective 60, where Robinson who was still confined to inking Kane's covers, has erased all Kane's original pencils (as was his practice by this stage) and redrawn the whole thing which was probably the prompt for him not to ink up Kane's signature. 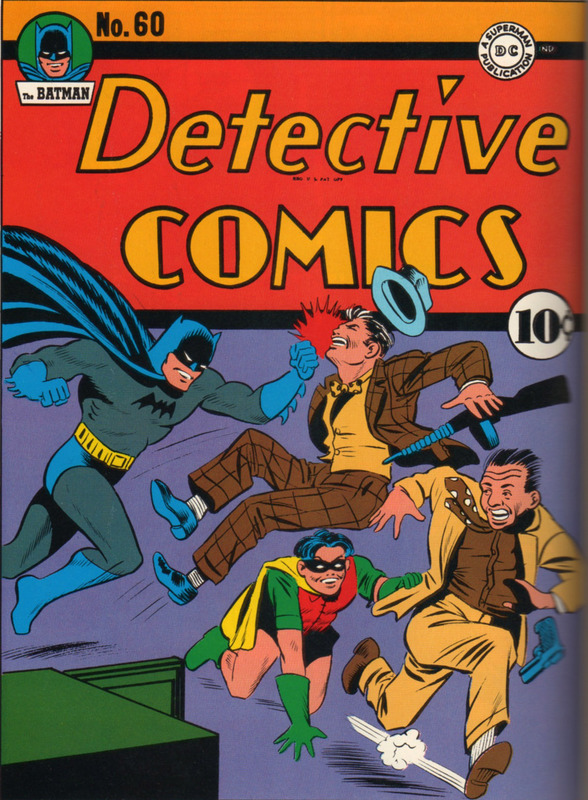 Detective 65 is also notable as Robinson is literally jamming with Simon and Kirby as they provide the figure of The Boy Commandos and by issue 66 and it's sequel issue 68 we are into the cream of Robinson's Meskin influenced artistry. 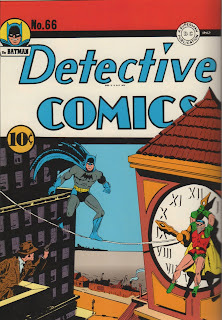 Really beautiful work and for me Jerry Robinson at his best. 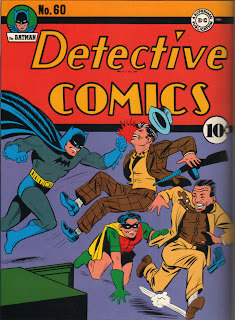 I have I must admit cribbed some of these scans from the excellent Heritage Auction site - go and check them out! 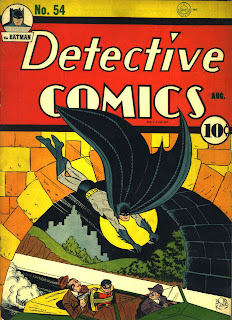 Wulf The Briton - An Update!